God didn't name Jesus "Isa" in the Bible. He named Him Yeshua, short for Yehoshua, which means "The Lord Saves." 20 But after he had considered these things, an angel of the Lord suddenly appeared to him in a dream, saying, “Joseph, son of David, don’t be afraid to take Mary as your wife, because what has been conceived in her is by the Holy Spirit. Yehoshua is transliterated as "Iesous" in the Greek, and IESVS in Latin, from which we get the English word, "Jesus." 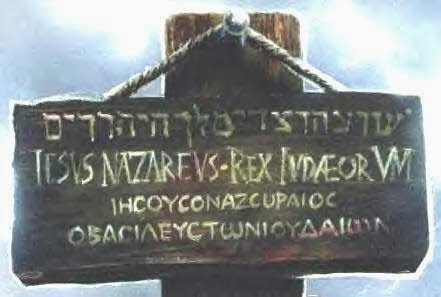 The sign on the cross would have had Jesus' name spelled out as IESVS-IESOUS-YEHSHUS (Latin, Greek, Hebrew). Jesus was known as Yeshua in the Hebrew, and Iesous in the Greek. Eesa, on the other hand, is said to be the Arabic for "Esau," which means "hairy" in Hebrew. "Eesa" means nothing in Arabic. There is no meaning or definition whatsoever for the name "Eesa" in Arabic. 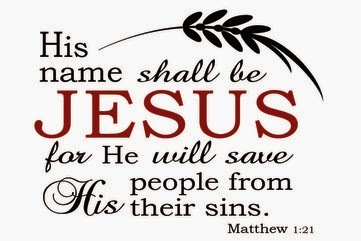 I think it is certainly curious that Muhammad would choose to replace Jesus' name, Yehoshua, "The Lord Saves," with another name which means absolutely nothing, especially in our context. As it turns out, however, Muhammad got the name Eesa from manuscripts which are not a part of the Christian Bible called the Gnostic Gospels, which is a collection of false teachings written hundreds of years after Jesus' return to heaven. This is a huge problem for Islam because the Gnostic Gospels' Isa is a person who is far removed from the real Jesus of the Bible. - the real Jesus of the Bible never killed anyone, much less children. But the Gnostic Isa did. - the real Jesus of the Bible never did any miracles just for show. But the Gnostic Isa did. - the real Jesus of the Bible never cursed people or made them blind. But the Gnostic Isa did. The real Jesus of the Bible gives life. He doesn't take it. The real Jesus of the Bible is humble and meek. He's not proud or boastful. The real Jesus of the Bible heals others. He doesn't harm them. More on the false Jesus, the "Isa" of Muhammad and the Gnostic Gospels, in a future article!